They That Will Be Rich and Is Josh Duggar a Hypocrite?
" But godliness with contentment is great gain. So here we go again. Another "scandal" regarding a Patriarchal Christian family. I admit, this post is going to be initial thoughts-- kind of just my immediate reaction to all of this. And of course, it's my opinion based on my experience. But I am pretty worn of all these attacks on the Godly Family and its principles and order. I guess that is to be expected in a nation that hates God, though. But if anyone is a hypocrite, it is not Duggar, but rather it is all the venom-spewing Christ-haters on the discussion forums (we all know the people shouting the loudest have much more heinous secret sins than Duggar does). Jesus told us to be careful because "with what measure ye mete, it shall be measured to you again" (Matthew 7:2). I would be very afraid if I were one of the people making such horrific comments about Josh Duggar. These people's attacks are so bad, they are angry his wife is not casting him off, and saying that her children should be taken from her. People like this, I confess, I pray to God they will be swiftly judged according to the same measure they cast upon the Duggar family. Break their teeth, O God! Certainly as Christians, we should take the example of what happened and learn from it, for our good. But we should not be calling Josh Duggar a hypocrite and all kinds of horrible things; he is not a phony. He is simply in a battle between the Spirit and flesh. I know this battle all too well; and if you are an honest Christian, you do too! The Apostle Paul knew this. Read Romans chapter 7 for a refresher. Shame on you if you think his sins are so much more horrific than yours! Seriously. The thing God hates the most is pride. So yes, perhaps you have not done what Mr. Duggar has done; congratulations, but if you have been walking in pride, you are in a far worse position and God is literally resisting you and all that you do. I will get to my critical analysis of the situation shortly. But I do want to say this first. 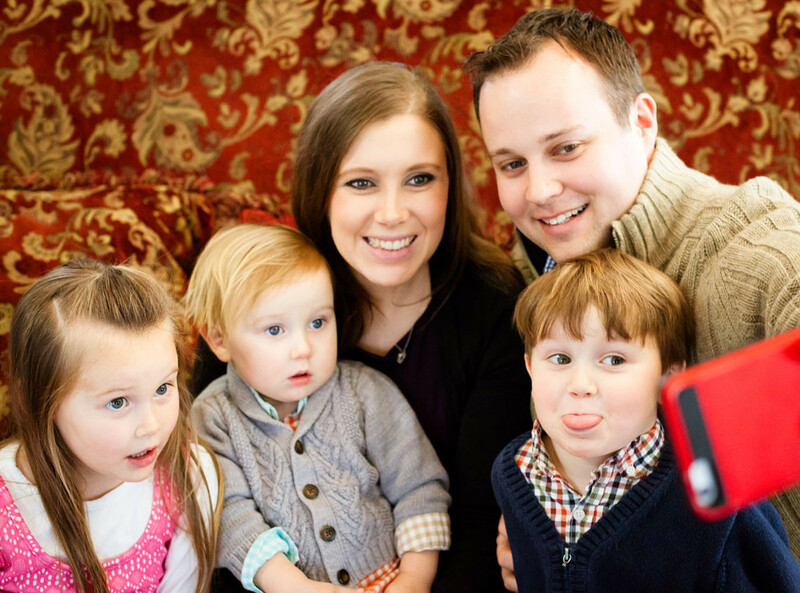 Josh Duggar has been humbled more than he has ever been. And because he loves God, he will come back stronger than ever. Because of his humility, God will lift him up and give him his grace (power). He might not do great works in the spotlight, but God knows he will be used mightily of him in days to come. You and I probably won't see or know about it, but that is okay. The first will be last, and the last will be first. Transitioning from the phrase about last/first, learned from Jesus' parables in the gospels, we need to take heed from the example of the Duggars. They indeed had a very godly family, and in many respects they still do. But Jim Bob made a huge mistake when he put his family into the spotlight of national television. It was a huge error. Going back to the introductory scripture for this blog post, we see that "they that will be rich" fall into temptation, a snare, and many foolish and hurtful lusts. But I am not referring to the lusts which Josh fell into. The Duggars fell into a compromising form of Christianity because of being in the spotlight. They had to turn down the heat of their fire in their Christian lives in order to even exist on a television show. And what is the reward they received? Perhaps they have not become "rich" monetarily, but they have benefitted quite a bit from the show. And whatever Christian witness they sought to establish, because they had to compromise in so many areas; whatever good they thought would come of it all... well.. it is all but gone. Many a godly Christian or Christian family has fallen into a ditch similar to Josh's. But you don't hear about it because they are not targeted by Marxists, like the Duggars were and are. They could have remained a solid Christian testimony without going on national television. But a godly man, "though he fall, he shall not be utterly cast down; for the LORD upholdeth him with his hand" (Psalm 37:24). The world cannot understand this, and will just yell "hypocrite". Whatever, let them. They only say this to justify their own sinful lifestyles. Every action they take is in defiance to God; Duggar is simply struggling with a certain area of life and fighting his natural sinful tendency. Don't fall into the trap of taking up a reproach against Duggar (Psalm 15:3), lest you cease to walk with God yourself. And don't pretend you are any better than Josh; we are all utterly and hopelessly wicked and deceitful, without the grace of Jesus Christ. You all know I have been very critical of the Duggars and their decisions. But I can relate to the struggling man of God and what he goes through. Not only my own struggles from the past, but also in my experience in relating with other godly men. May we love and pray for our brethren as Christ would have us to. Beside all this, this whole hacker thing, like everything else, makes me suspicious. In one form or another, this had to have been planned by the Marxists and Jacobins behind the scenes. You can be certain that no so-called hacker (it was probably a government and/or Jewish oligarch agent anyway) would ever expose someone, so that it would not benefit the Marxist cause (which is why you also never see Jewish pedophiles exposed.. only the Roman Catholic Priests). LORD, save our people and turn this evil upon our enemies' head. One cannot overstate the importance of music in the life of the American Christian. At least, not in my life. I am not a talented musician or anything (although I can play the more simple type of chords on a guitar and do some songs pretty well--- none of the finger plucking stuff or bar chords), but music plays a huge role in my life. I suspect it does for just about everyone, perhaps with some exceptions. I have a hard time believing this was some sort of rare occasion. I have been learning through experience recently, that the spirit world plays a much higher role in our lives than we like to give it credit for. This is a fact that I pray our friends over at Trad Youth would grasp and understand. Much of our struggle, both against personal sin, and against sin on a broad, national scale, has to do with the spirit world. So to fight with human strength, use human wisdom, and human tactics, is utterly futile. I suppose it would be like trying to fight off computer hacking, viruses, and such, with guns and swords. It aint gonna work! Music can be used as a spiritual weapon against the enemy. I have consistently observed in my own life, that I am usually doing my best when I have been listening to Christ honoring music, that lifts my spirit up to God; particularly the music of Keith Green. I have literally found no better way to overcome struggles in my life than to just listen to his (and other godly) music. Let's take the first part of Proverbs 13:20: "He that walketh with wise men shall be wise..." I will speak about the 2nd part of that verse, in relation to music, perhaps at another time. When you walk with "wise men" (the fear of the LORD is the beginning of wisdom-- Proverbs 9:10, Psalm 111:10), you will begin to walk in the commandments of God and of Christ, and to do his will in everything, including having the right type of attitude and motives. You can see how the type of people you associate with, (or in this case the type of music you listen to) is linked together with fearing the LORD, and connected with doing his commandments; and also you see the link back again to "praise" (connected with music). Maybe I am stretching this a bit? Ehh... I'd like to think not. The times in my life when I am resisting the spirit of God in one area or another, I tend to avoid godly music. In my stubborn pride, I don't want to change. And because I KNOW that godly music will change my attitude and my heart, I avoid it. Very subtle and deceitful our hearts are! I am not going to speak against other types of music today or speak about discerning between right and wrong music, but very likely I will at another time. I want you to examine your life today and ask yourself if the friends you are surrounding yourself with, and more particularly, the music you are surrounding yourself with on a daily basis, is lifting you up to worship Christ, and giving you a humble, meek, and godly spirit. Music has been transformational for me and my family. Some families even get to the point where the house is filled with singing all the day long, without the aid of recorded audio music. What a huge blessing! We learned from the Moore Family upon staying at their home a few times, the importance music plays in their home. Before each and every meal, there are songs of praise to the Lord Jesus (a practice we have adopted, although not consistent enough yet). It sets the stage for the entire mood of the family to always be just what it needs to be. The father of the home has great discernment and knows just how to use music to the advantage of raising godly children. And boy, does it show in each and every one of his children, from the oldest to the youngest of their 11. Please take time to meditate on these things, my brethren, and may the Lord give you understanding in all things.